You know how sometimes you just have a really full heart? Overwhelmed with love and gratitude. That's how I felt a few months ago when a half of a tree fell on my car during a big storm - my kids were even trapped inside! Luckily they were safe, but we were quite stuck during a big storm. The family who came to our aid had just had a death in their family, but they took the kids to swim in their pool, they gave me a cup of hot tea and they delivered the flowers in the car that were supposed to be taken to a house down the street. After the whole ordeal I just wanted to thank them for all the kindness they showed us during a stressful time in their lives (and a little stress in ours). 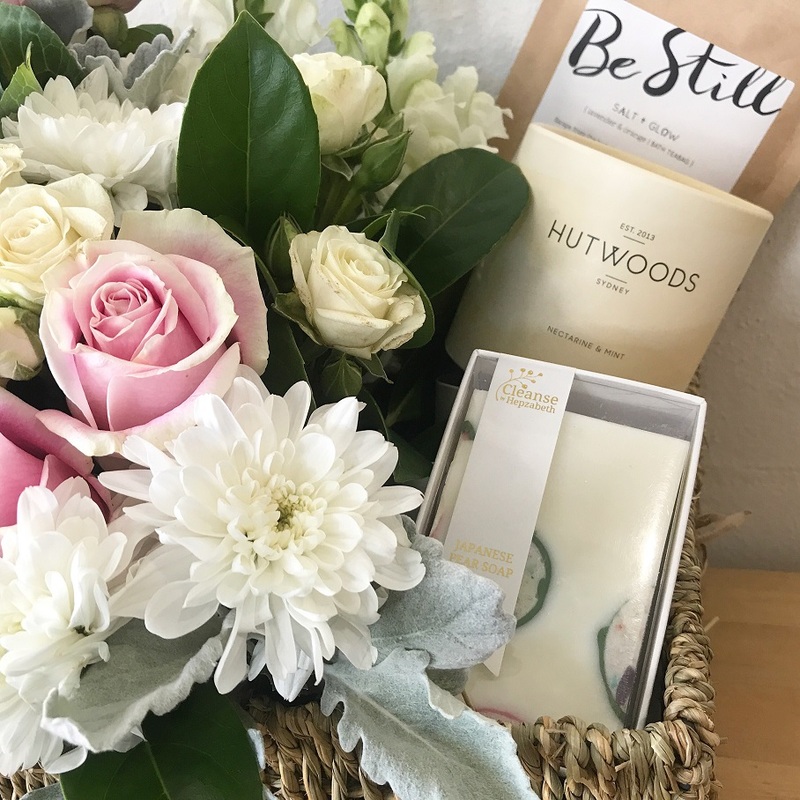 That's what the Luxe Gift Hamper is all about - a basket of really soft beautiful flowers, and other lovely treats from local handyladies - Cleanse by Hepzabeth Soap Makers, Hutwoods Candles, and Salt and Glow body products. You have the option of choosing from three sizes too, big, bigger or very very big. 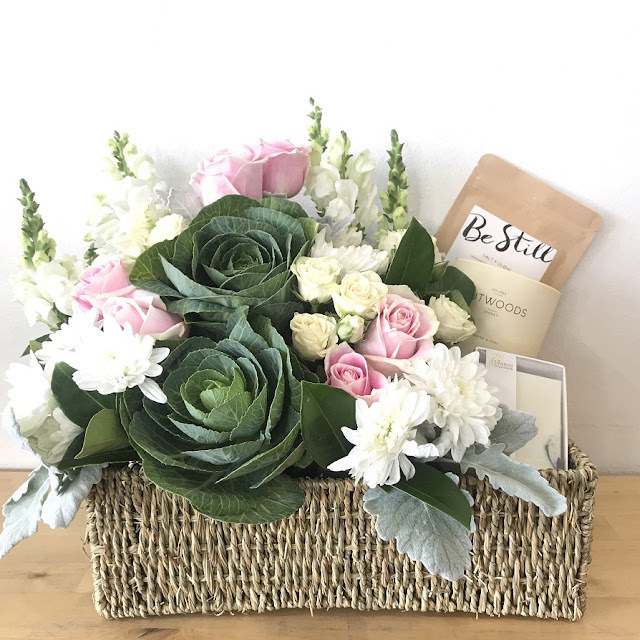 It's a really special way to say thank you, a thoughtful gift, a basket of love.